Nursing moms are incredible. We’ve seen story after story of these women stepping up and helping other infants while out in the community. When officer Celeste Jaqueline Ayala heard a baby’s cries while on patrol at Sor Maria Ludovica children’s hospital in Buenos Aires she asked if she could help. The baby had reportedly been brought in for neglect and was “smelly and dirty,” hospital staff said. A new mom, she could hear the baby needed food but with the hospital staff busy she asked if she could feed the baby. As she sat down on a chair outside the hospital ward to nurse the baby one of her colleagues snapped a photo. After posting it on Facebook it went viral and has now been shared more than 100,000 times. 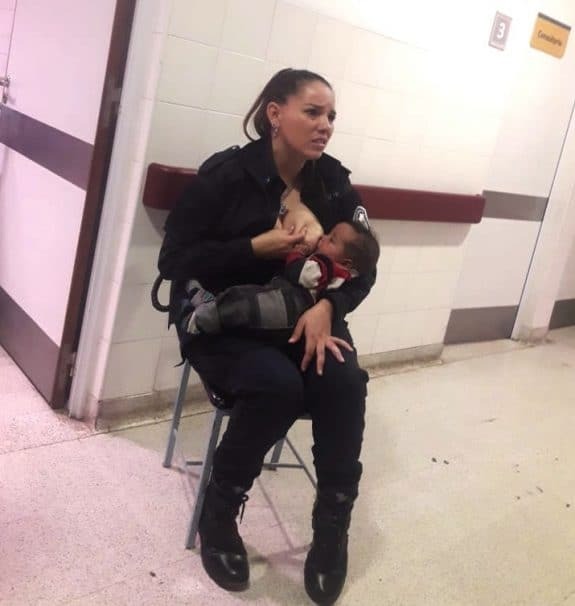 The Buenos Aires Provincial Police told CNN that Ayala spoke with hospital management before she breastfed the baby. 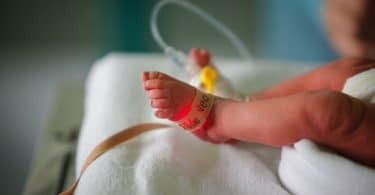 The local media reported the baby is the youngest of six siblings from a single mother who is struggling to cope and in a desperate situation. In June a Jollibee employee breastfed a newborn who was abandoned in their bathroom. Just a few weeks before that an officer in India also nursed a newborn who was abandoned shortly after birth. If a mom has milk she will share it with those in need!